Tamlin is sensitive to global environmental issues. Our design capabilities and materials flexibility put us in an ideal position to offer consumers alternatives such as green building methods using renewable resources and sustainable wood practices. We strive to achieve a balance between environmental considerations and the appeal of natural building materials. We respect each homeowner’s decision to conserve our natural environment in any way they can. At Tamlin we are always keen on recommending eco-friendly, healthy, and energy efficient building products in our house packages. We can also recommend specialists to you in areas of geothermal or solar energy, etc. and these ideas can be incorporated into the house design from the beginning. Our milled log houses use over 50% less wood (volume of logs) than a traditional round hand hewn log home. We can also offer milled logs in cabin grade or other environmentally friendly grades, which are ideal for smaller buildings in remote areas. 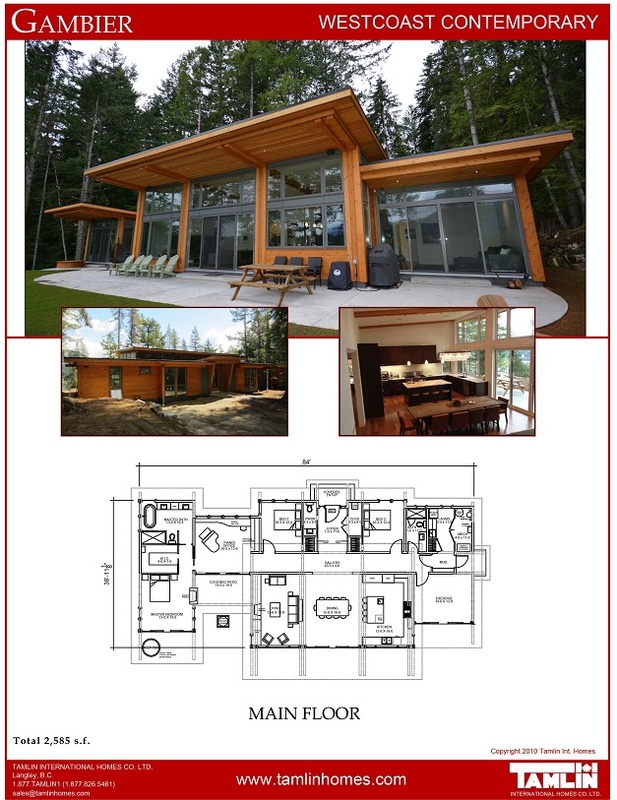 Our Douglas fir and spruce/pine log houses are from second-growth areas, and renewable forests. Our milled log houses can even be disassembled after a number of years and moved to a different location, making them totally reusable. 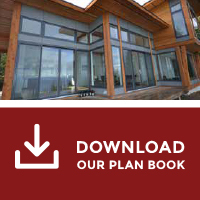 Tamlin’s hybrid design approach utilizes wood resources much more efficiently by combining timber frame with conventional wood frame construction. Compared to full timber frame construction, the actual volume of timber components used in our designs is significantly less than traditional timber frame. We also recommend using resource-efficient engineered structural posts and beams whenever possible, especially in hidden areas where appearance is not a concern. For energy conservation, Tamlin can provide the highest possible level of insulation in wall and roof systems, along with energy efficient, low-maintenance windows and recycled composite roofing products. One of our recommendations for constructing warm basements is the use of energy efficient insulated concrete forms (ICFs). We also recommend durable water-based paints, stain, and other building products such as pre-finished solid or engineered flooring and natural fiber insulation. Tamlin will continue to develop our house packages with environmental concerns and conservation in mind. – This local Vancouver retailer specializes in environmentally friendly house products.